Be the first in your realm to behold the awesome wonder of this much anticipated 10th Anniversary revised and updated Seventh Edition of the complete NECRONOMICON ANUNNAKI BIBLE by Joshua Free – available for a limited time as a deluxe oversized clothbound dustjaketed hardcover edition, signed and numbered of ONLY 50 COPIES! Available exclusively from the “Mardukite Chamberlains”/”Mardukite Truth Seeker Press” while supplies last! 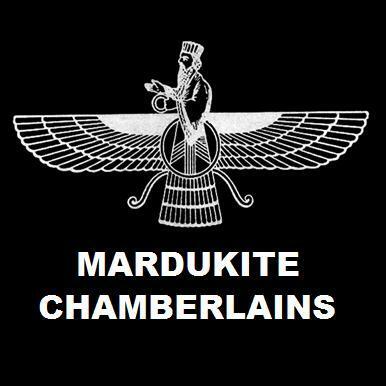 This is the first time ever that the complete ‘Mardukite Tablet Catalogue’ of the NECRONOMICON ANUNNAKI BIBLE is available in hardcover – in honor of the 10th Anniversary of the modern Mardukite movement and research organization on June 21, 2018; the organization publicly founded on June 21, 2008 with the release of the original hardcover edition of ARCANUM: THE GREAT MAGICAL ARCANUM by Joshua Free, also recently released in a 10th Anniversary deluxe hardcover – now sold out! Be sure to request your copy of the NECRONOMICON ANUNNAKI BIBLE before they are gone. Available only from the Mardukite Offices via our eBay outlet or discounted by personal arrangement (contact the Mardukite Offices via email). Since 2008, the range of Mardukite work included lengthy discourses with other related published researchers, unceasing hours in abandoned corners of old libraries and museums, participation in sessions with other practicing occultists and even a visit to the “tablet collections” at the University of Pennsylvania and Chicago among others. The culminating results were nothing like anyone would have expected: an authentic, more complete and verifiable version of the NECRONOMICON salvaged from the shifting desert sands of time in the Middle East and Egypt, unparalleled by anything already available to True Seekers. It appeared to be the most complete collection of ancient writings on the planet that formed the very foundation of all the human traditions and beliefs that would emerge thereafter.